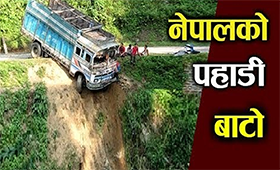 The latest development on Kalanki Ring Road construction from Khasi Bazaar to Balkhu and beyond up to Sanepa has been showcased in this video. Right now lane marking work has been done. Enjoy the video my friends and please subscribe if you do like the video.